I’m pretty sure Matt thinks I’m joking when I say he’s never allowed to go on vacation without us again… but I’m not. 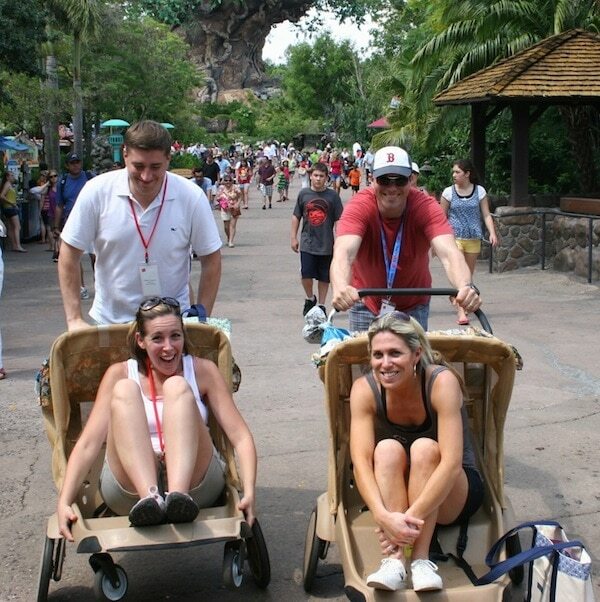 I just opened up this email of the 4 of us hanging out in Animal Kingdom last weekend. Where are the kids? You got me?! I literally can’t remember where they were standing during this moment. Audrey and I were EXHAUSTED from all the walking and as a joke we had the men push us around. LOL! Gotta love the good times. Previous Post: « What’s New On Totsy? My Favorite Picks! Love it! The heck with the kids, right? haha. Looks like you guys had a blast! !